This Rexel Easy Touch stapler offers effortless, reliable stapling, with a unique combination of patented low force and flat clinch technology. 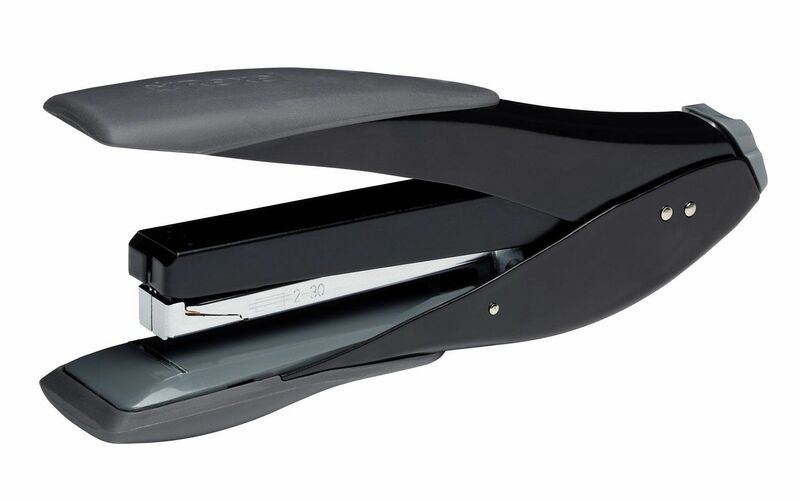 This full strip stapler can staple up to 30 sheets of 80gsm paper. The durable metal stapler features rubberised grips for comfort and a throat depth of 99mm. It takes Rexel No. 56 staples and features front staple loading, as well as a low staple indicator for efficient refilling. Flat clinch technology means your documents take up 30% less space on your desk or in your files and the low force technology delivers more power and means up to 50% less effort when stapling.